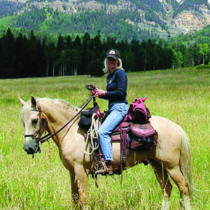 A two-time recipient of the PSAAR Spirit Award, and one of the area’s top-producing brokers, Diane Burnett enjoys horseback riding, hiking and camping in the high mountains with her husband, horses and her dogs. She is passionate about life and living in Pagosa Springs and has more than 22 years of experience in helping others find their Colorado dream properties. Diane establishes long-lasting relationships with her clients and helps them connect with others of similar interests. Although her roots are in Illinois, she lived in Oregon, Arizona and Oklahoma before landing in Pagosa Springs. She’s traveled extensively in the US and Europe and, in her work with a Russian-American joint venture, she explored Russia and several Russian republics. After discovering beautiful Pagosa Springs, her traveling days ended – she found her ideal mountain home and stayed. View all of Diane’s listings below or view her Virtual Tour Gallery.